The new generation of broadcasting. Home to shows such as The Graham Zima Show and Monsters at Midnight. Charlie Arpin unloads on his favorite and not so favorite works of cinema. Follows rotating hosts as they discuss & debate shared memories from their past over a few drinks. Landscaper by day. Pessimist by night. Host Eric Soderman isn't one to shy away from the honest truth when it comes to politics & current events. Matt Schaefer, Joelyn Dormandy, and Graham Zima host a monthly podcast that discusses all thing horror. Includes everything from horror movies to creepy pastas. New episodes on Thursdays every month! Graham Zima recounts his extensive run as a child actor and his experiences performing on some of the world's most famous & historic stages. He was basically Macaulay Culkin but with like...no money or fame. Graham Zima and David Naida sit down with various working class filmmakers from the Milwaukee/Midwest area to discuss the technical and business aspects of the movie industry. A late night adventure into some of the world's biggest conspiracies. New episodes are released every Wednesday. 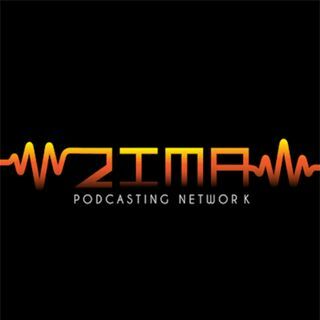 Every Tuesday, Graham Zima attempts to explore the crazy world we inhabit through conversations on culture, media, and human behavior. Celena Allen & Mack Shaffer discuss the best & worst movie adaptations every three Fridays. Dayton Hamann and guests debate topics using a three round tournament bracket. New episodes are available bi-weekly on Thursdays! Join Lauren Barker & Emily Swanson every other Wednesday as they sit down with various women that are working within the film industry to hear their stories & experiences.